Metta World Peace is an interesting man. When speaking with him, just from his natural tone you get the sense that what he&apos;s saying is measured and agreeable. But then he says something about Tragedy Khadafi being the greatest emcee to ever come out of New York and forces you to reevaluate everything he said previously. 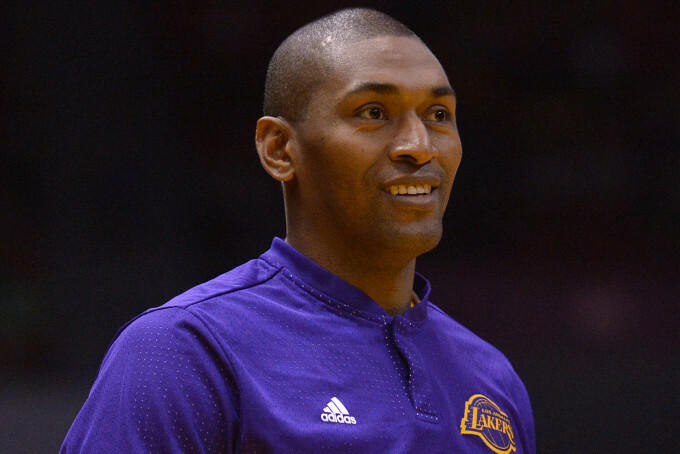 World Peace—formerly Ron Artest—has been an NBA mainstay for the better part of two decades. You probably already know about his checkered Henny-at-halftime past, his role in the infamous players vs. fans Malice at the Palace megafight, and his (underrated) post-championship song "Champions". And, perhaps to a lesser extent, you know of the defensive prowess, physical strength, and leadership that has allowed him to play basketball on the highest level for so many years. 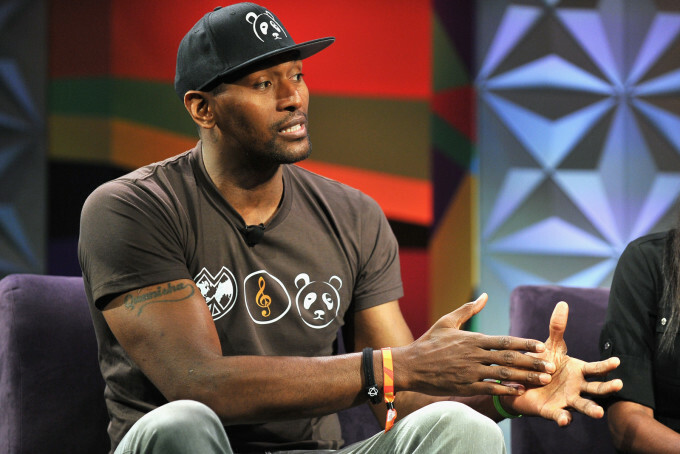 But even today—how much do we really know Metta World Peace? Like, Tragedy Khadafi is the best NYC emcee? Really? The enigmatic NBA star was gracious enough to speak to us about everything from his recent hilarious appearance on the go90 short form comedy series/30 For 30 spoof The 5th Quarter to why the Lakers are playing better without Kobe to whether he believes world peace is actually possible. He did not disappoint. I understand you appeared on The 5th Quarter on go90—could you tell me a little about your appearance on the show and how you got hooked up with go90? Yeah, I just got an opportunity to do a webisode. I’m working on getting into acting so I thought it was a good opportunity to get into that part of entertainment. You’re not really new to entertainment, though—I’ve seen you in a few things. You were pretty good on Key & Peele, too. What makes this different? People can say this team is better without Kobe or whatever—I don’t think that’s the case. That seems natural for you. I’m sure they let you do a little improv too, right? Yeah, I got a chance to do a little improv and actually got the chance to write a little bit. Sometimes you get opportunities to act in TV shows or movies and they don’t really give you a lot of freedom, but go90 did. I did write on Think Like a Man, which was pretty cool. When I did this piece it kind of reminded me of that. Those were the only times I actually had the chance to write on something so hopefully I can continue to do that and hopefully when people see the episode they enjoy it. I know there’s a story from way back from 2001 where you were training Michael Jordan for his third comeback and cracked his ribs. You’ve told this story before but I’m curious if there were any other intense one-on-one’s or pick-up games with NBA players that you remember. A lot of times in the summer, that’s where you get a lot of those games. And then you get a lot of NBA guys coming just getting in shape. [The Jordan games] were the best games because Michael Jordan is not only the best player in the history of the game, but he also was the hardest worker in those full-court runs. He was a really hard worker. One of your former teammates was just like that. I sit across from a Lakers fan and hear all about Kobe’s 4 a.m. workouts. The Lakers have looked pretty good this year and that same Lakers fan feels guilty about liking this year’s team more because of his love for Kobe. How does it feel for you? What is the difference in this year’s team versus last year’s team? I think this year’s team is a year older; all of the core guys from last year were very young. I actually think that’s the biggest difference. And they’re developing really, really good chemistry. So, you know, that’s the main thing. People can say this team is better without Kobe or whatever—I don’t think that’s the case. I just think it’s a more mature team. Who is the best emcee to ever come out of New York? You’re listing them off, I asked for one! I know, man, there’s so many people. Tragedy. For me I would probably say Tragedy. That’s an answer you don’t hear too much. Tragedy’s my favorite emcee only because, when you look at emcees back in the day whatever you say that’s what you lived. And most of the words that came out of Tragedy’s mouth I could say that he’s done or I can say it was his lifestyle. I can’t say that for everyone. I don’t know Jay Z, I knew Nas but I was young—you know at the time when Nas was in Queensbridge. Tragedy’s that lyricist where what he said was him. It’s gonna be hard to get world peace with so many selfish people in power. You’ve played against Mike, you’ve been on teams with Kobe Bryant and Tracy McGrady. I know Tracy’s career was cut short because of a lot of injuries but how good was he? Do you think he could’ve been in that same Michael Jordan/Kobe Bryant category or was it just a different thing in terms of those two guys? Yeah, I think with Tracy he got hurt. He didn’t lift a lot of weights. The only difference I think with Kobe was Kobe lifted more than Tracy. So I think Kobe lifting more helped his career as far as staying strong. Kobe did 20 years. So I think that was a major difference. But as far as talent—Tracy had it all. He was a big-time player. He probably would’ve averaged the same amount of points nowadays as he did back then. He was good. Very, very talented. Definitely was on the level of Kobe and Jordan at one point in time. Saw some rumors that you’ve been considering coaching. Any truth to that and when can we expect to see you on the sideline? Well I still want to play in the NBA for a couple more years, maybe two or three more years. 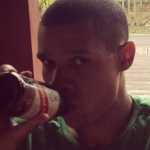 Hopefully make it back to the playoffs and maybe win a championship as a player. So that’s still something—it’s gonna be hard—but it’s doable. And then one day—I think coaching is fun. I would love to be on the sideline one day. Absolutely. The player fire still burns, though? Um, I dunno if it burns but I know I tried out for the team and made it so I’m talented enough to be an NBA player, you know? Your name is Metta World Peace. Do you think World Peace is possible? [Pauses.] Um, it’ll be hard. Because a lot of people in the world if they don’t get what they want they destroy everything else. So if they don’t get things they want they’ll make sure nobody else is happy. And I think there’s a lot of people in the world that’s miserable and everybody that wants peace don’t wanna resort to violence. But the people that don’t care they will resort to violence, so they always wind up winning. No peaceful people resort to violence, so it’s going to be hard. It’s gonna be hard to get world peace with so many selfish people in power.